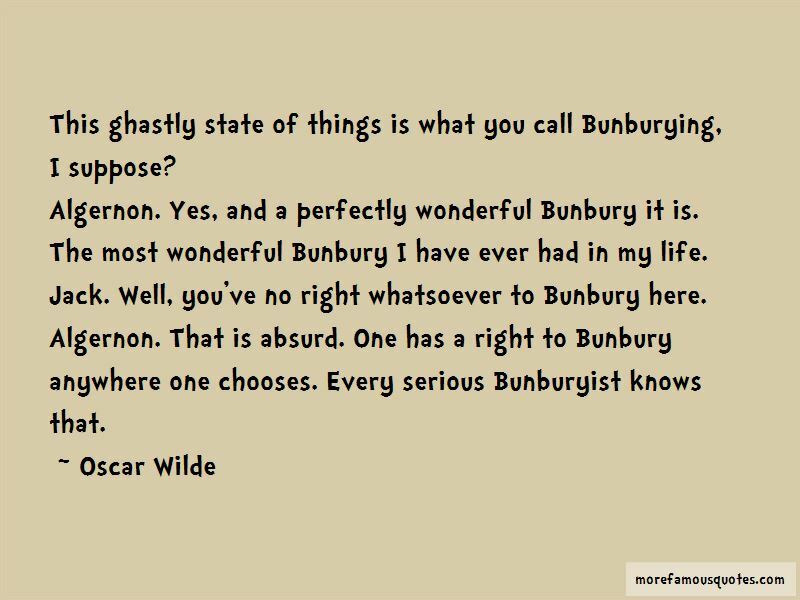 Enjoy reading and share 10 famous quotes about Bunbury with everyone. “This ghastly state of things is what you call Bunburying, I suppose? “Bunbury? Oh, he was quite exploded. My dear Aunt Augusta, I mean he was found out! 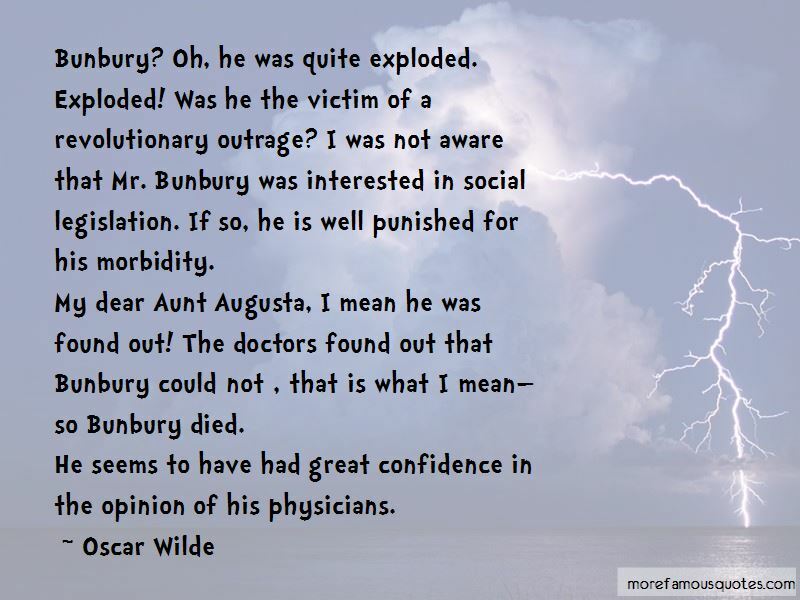 The doctors found out that Bunbury could not , that is what I mean-so Bunbury died. “Yes; poor Bunbury is a dreadful invalid. That, my dear young friend, is the theory that the corrupt French Drama has been propounding for the last fifty years. 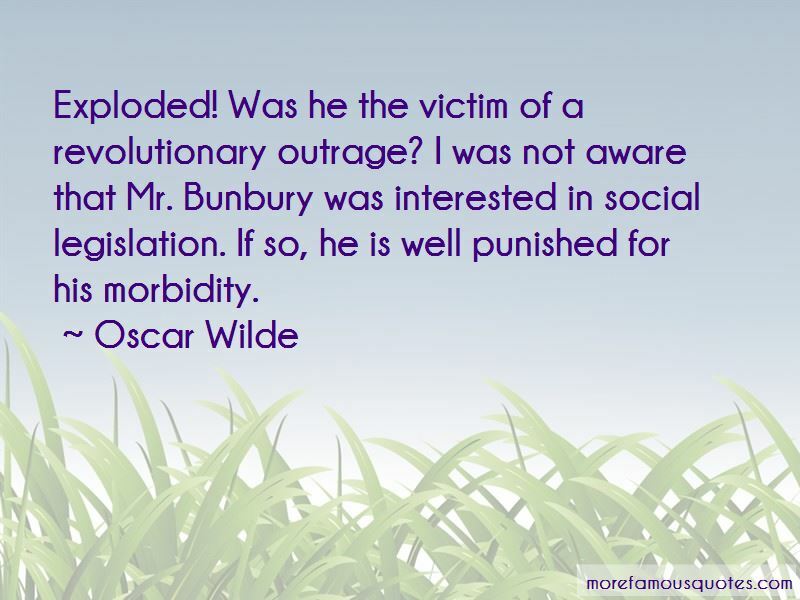 “The doctors found out that Bunbury could not live, that is what I mean - so Bunbury died. “Oh! 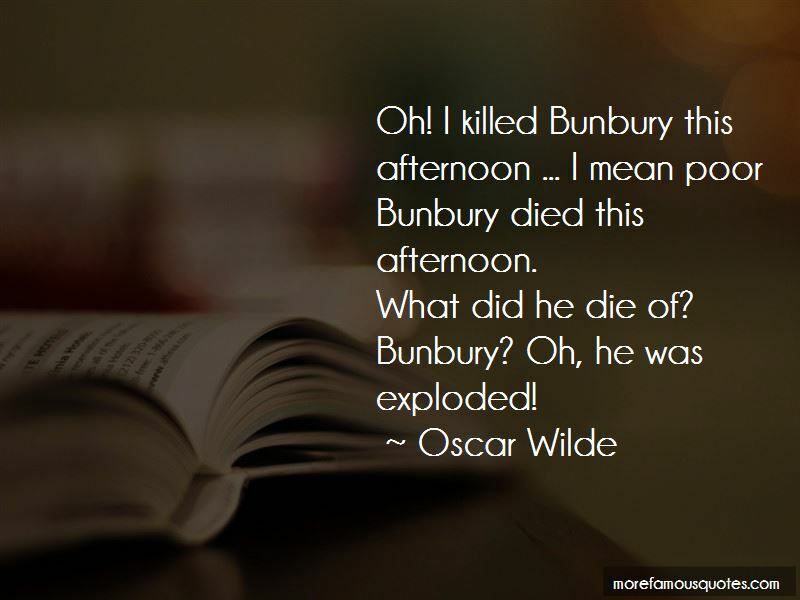 I killed Bunbury this afternoon ... I mean poor Bunbury died this afternoon. Want to see more pictures of Bunbury quotes? Click on image of Bunbury quotes to view full size.